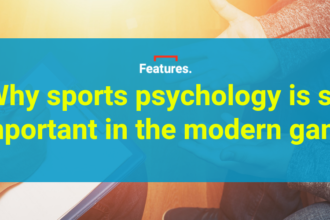 Despite being the most popular sport in the world, there are some widely held myths about how the football industry works, especially relating to the financial aspects. This is largely due to an intentional lack of transparency surrounding football finances, mainly regarding transfer fees and wages. This is in stark contrast to other popular sports, such as the NBA and NFL, where player costs are publicly reported and every single deal is viewed through the lens of how it will affect the salary cap. With privately-owned football clubs free from most public reporting standards, the wider fan base get most of their information about what this player cost or what that player is earning third or fourth-hand through newspapers and online media. But why are player costs important? After all, it’s not our money, right? Disregarding that it is kind of our money – the huge increase in Premier League TV revenue, for example, is being paid for in the form of Sky and BT subscription fees from UK viewers – with domestic and UEFA financial regulations, clubs are prevented from spending much more than they earn. In practice, this results in individual spending caps for each team. Whenever a club signs a bumper new commercial deal or a league gets a huge new TV contract, that brings an advantage with regards to spending power. However, each club has a finite amount it can spend on player costs and, therefore, it is essential to maximise value. Understanding how clubs calculate player costs helps us to see how they really value certain players, as well as how the money is being spent, which players provide good value, and which players do not. Traditionally, in order to report on the financial nature of a particular transfer, a journalist must first have sources that were involved in the deal. That requirement alone means that well over 99% of those writing about football will be left completely in the dark. For those few journalists who have cultivated well-placed sources, the numbers they are told will vary depending on which side of the table the source is on. If a journalist is trying to nail down the transfer fee, a source on the buying club might just quote the initial fee, whereas a source on the selling club might quote what the fee would be if all of the performance-based add-ons are met (without distinguishing how likely it is that said add-ons will be triggered). Similarly, when trying to find out a player’s wages, maybe a club source will quote the basic wage, whereas the player’s agent might include the basic wage, the image rights and performance bonuses. Naturally, these numbers can vary wildly depending on where the information is coming from, and the journalists can only report what he or she has been told. This is why we often see conflicting figures reported, and especially when a player from another European league is bought by a Premier League club. The journalists covering the selling club will likely report what that club is saying, and perhaps the player’s agent, whereas the journalists here in England naturally have more contacts at the buying Premier League clubs, which can lead to discrepancies in the details. While those who report on football finances do a good job of shining light on an important area – we would be left completely in the dark otherwise – there are a number of gaps that we, as fans, have collectively filled in with inaccurate myths about how the industry works. As a result, and in light of the transfer market being in full swing, The Set Pieces decided to bust a few myths surrounding the transfer market. No club has ever directly recouped a player’s transfer fee through shirt sales. adidas, Nike, Puma, and other kit suppliers get 85-90% of shirt sale revenue and this is the industry standard. While there are some exceptions – a club like Bayern Munich, which is part-owned by adidas, may get a slightly more favourable revenue share, and generally, once a certain (very large) number of shirts are sold, the revenue split on additional sales will skew more favourably to the club – these are the exceptions to the general rule. As an example, Manchester United have a ten-year kit deal with adidas worth £750 million. This is one of the largest kit deals in football (behind only Barcelona’s deal with Nike and Real Madrid’s new adidas deal, which has yet to be formally announced), and easily the largest in the Premier League. However, the primary reason adidas is paying Manchester United £75 million per year is not simply to have a tiny logo emblazoned on United’s kit and use the club for marketing purposes. Of course, being associated with one of the few truly global clubs in football helps adidas to capture market share in emerging markets and further solidify its presence in existing markets. But for the supplier, kit deals are licensing deals, and that’s where the real value lies to adidas. Football clubs are, by nature, football clubs. They’re meant to do football things. They don’t have the infrastructure required to manufacture and distribute millions of kits. Many can’t even handle running online shops, the logistics of which they outsource to third parties. For any cynical readers who may not be so inclined to take our word for it – after all, it is a popular myth – just have a look at both United’s and adidas’ July 2014 announcements of the deal, where the partnership is described, quite clearly, as a licensing package. Despite the nonsense you may have heard about Zlatan Ibrahimovic shirt sales generating £50 million for Manchester United, which would far exceed his wages, it’s simply not true. In fact, United don’t even automatically receive the 10-15% industry-standard royalty payment, no doubt because the up-front £75 million annual payment is so large. United’s royalty payment only kicks in once a certain number of shirts are sold. Just under three million Manchester United shirts were sold last season. As a case in point, let’s assume that Ibrahimovic helps sell an additional 300,000 shirts. A 10% increase is a very optimistic projection, especially considering Ibrahimovic is a Nike athlete and won’t be engaging in any adidas promotional activities on his own. His image rights deal with United will almost certainly allow the club to feature him in adidas promotional activities, as long as he appears with at least two other United players and the activity does not imply that Ibrahimovic is giving a personal endorsement to adidas. Additionally, while many United fans may choose to buy an Ibrahmovic shirt, over, say, a Chris Smalling shirt, those fans were already going to buy a shirt in the first place. Let’s also assume that United’s royalty kicks in after three million shirts are sold, and the club receive a 15% royalty on each subsequent shirt sold. Assuming a price of £70 per shirt, that’s an additional £21 million in gross sales from 300,000 shirts. 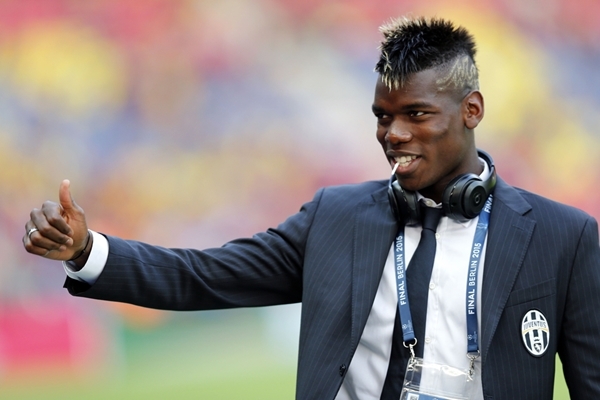 Manchester United’s cut of that would be just over £3 million. Now, £3 million is certainly not an insignificant amount, but it offsets less than 20% of what Ibrahimovic will likely cost the club this season (wages, agent fee, signing bonus, image rights deal). So, at best, United are likely to see around £3 million in additional revenue. While certainly not a paltry sum, it doesn’t come close to covering his costs, let alone help United earn an additional £50 million. Put simply, there’s a reason why adidas has earned more in the last six months than Manchester United, one of the highest-earning football clubs in the world, has earned in its 138-year existence. Clubs haven’t used fax machines to “get the transfer paperwork in” for quite some time. Since 2010, it has been mandatory to complete international transfers online through the FIFA TMS system. The system and the online forms are user-friendly, and filing the transfer “paperwork” shouldn’t be a complicated process. All clubs must to designate employees to be “TMS managers”, who are responsible for ensuring that transfers are processed correctly. The ultimate responsibility for training the TMS managers lies with the national FA, but in practice, the training usually occurs internally at club level, and big clubs often have several employees who have been trained as TMS managers. FIFA TMS readily admits that the level of training and experience varies quite a bit from country to country, club to club. So, when a club has sub-par training or chooses the wrong employees to take on the role of TMS manager, problems can occur, which was possibly the reason for the failed transfer of Manchester United’s David de Gea to Real Madrid on deadline day last summer. For anyone interested in learning more about the Transfer Matching System, Gab Marcotti wrote an excellent article in which he interviewed the general manager of FIFA TMS, and I have previously interviewed the head of integrity and compliance. Despite what you may have heard, “net spend” is completely irrelevant to how big clubs do business and is not something they consider when calculating player costs. Consider the following: Manchester United recently signed Henrikh Mkhitaryan from Borussia Dortmund for £35 million. Mkhitaryan will likely be earning the equivalent of at least £180,000 per week over the length of his four-year deal. In practice, clubs like United, for which cash flow is never an issue, often pay the entire transfer fee up front or in a few instalments over a short period of time (less than 12 months). This helps reduce the overall cost of the transfer, and most selling clubs will much prefer to see the entire fee paid quickly, as opposed to several instalments over two or three years. However, on the books – and this is how clubs actually calculate player costs – United, like every single other football club in Europe’s top eight leagues, will record the transfer fee as £8.75 million in each of the next four years, not £35 million now. This is a universal accounting practice called player amortisation, and it is fundamental to how clubs calculate player costs. Rather than recording the entire purchase when it was made, the club will spread the transfer fee over the length of the player’s contract. Naturally, wages must also be included in the calculation of player costs. Ideally, agent fees and image rights payments will be included as well, but to keep things simple, we’ll focus on the two big expenditures: amortisation and wages. With Mkhitaryan costing Manchester United £8.75 million per year in amortisation and £9.36 million in wages (£180,000 per week multiplied by 52 weeks), his overall cost to the club is just over £18.1 million per year. That £18.1 million per year is what clubs look at with regards to player costs, not just the transfer fees coming in and out. Let’s compare the Mkhitaryan deal to that of another recent Premier League signing from the Bundesliga: Arsenal’s £30 million purchase of Granit Xhaka from Borussia Mönchengladbach. Xhaka signed a five-year deal and will reportedly earn around £125,000 per week at Arsenal. The transfer fee will be spread out over Xhaka’s contract at £6 million per year (£30 million divided evenly over five years). So including Xhaka’s wages, the overall cost to Arsenal is £12 million per year. While the transfer fees for Mkhitaryan and Xhaka are similar, Mkhitaryan is costing Manchester United 50% more than Xhaka is costing Arsenal on an annual basis. To further illustrate why net spend doesn’t tell you anything about how clubs do business, consider United’s signing of Zlatan Ibrahimovic on a free transfer. While the “net spend” on that deal is zero, he adds well over £10 million to Manchester United’s player costs this year. If those were the only transactions United and Arsenal made this summer, their “net spend” figures would be similar (£35 million and £30 million, respectively). However, after applying the business and accounting principles that the clubs themselves use, we see that Arsenal added £12 million to its total player costs for the coming season, while United added over £28 million. Rather than a difference of less than 20% in actual spending (which is what net spend would show), the actual difference is over 200%. If anyone tries to tell you “big club x” has “y amount” to spend is likely nonsense, we recommend asking them to show their work on how they arrived at that number. As we just discussed, there’s a lot more that goes into player costs than transfer fees. Unless the number being offered up clearly includes wages (which is more than half of the equation), and ideally at least a nod towards agent fees and image rights payments, you can safely disregard it as not reflective of that club’s available resources to bolster its squad. Players aren’t the only ones who use agents. Clubs frequently employ agents as well to help find buyers and extract top fees for players they want to sell. The tandem of Kia Joorabchian and Giuliano Bertolucci are notable examples of agents who work on behalf of clubs. They helped Chelsea and Tottenham Hotspur sell Ramires and Paulinho, respectively, to Chinese teams last year. Manchester United also used agents to help sell Robin van Persie and Nani to Fenerbahce. It’s worth noting, though, that Joorabchian and Bertolucci are also Ramires’ and Paulinho’s agents, and Manchester United hired Van Persie’s agent for the Fenerbahce deal. In the case where the club asks the player’s agent to also represent them, the agent should always make sure the player understands the natural conflict of interest that exists, recommend that the player seek independent advice, and get the player’s approval in writing. When the player’s agent acts on behalf of the club, it will be the responsibility of the club to pay the agent for his or her services, rather than the player. Rarely mentioned when discussing transfers and wages (notable exceptions include when a manager’s former club managed to retain the trademark to his name or when one of the best players in the world stands trial for tax fraud), the image rights deal between the player’s image rights company and his new club comprises a significant portion of the player’s compensation and the overall cost to the club. Image rights deals can be complex and, depending on which side of the table a journalist’s source was sitting on when the deal was negotiated, the image rights may not be included in the information they receive when they ask how much the player will be earning on his new deal. For example, a player might be earning £85,000 per week in wages but, after including image rights payments, the player is likely earning the equivalent of over £100,000 per week (usually it’s around an additional 20% plus a share of the net profits the club receives from appearance and endorsement activities the player carries out on its behalf). Bonus payments conditioned upon team and individual success as well as agents fees can also significantly add to a club’s cost with regards to securing a player’s services on the transfer market. Previous articleAhmed Musa profile: what can the winger bring to Leicester? Next articleWhy do Premier League clubs avoid buy-back clauses?